Plate 20: Shows the same area as seen in Plate 18, near the trees in the middledistance, 12 months later. 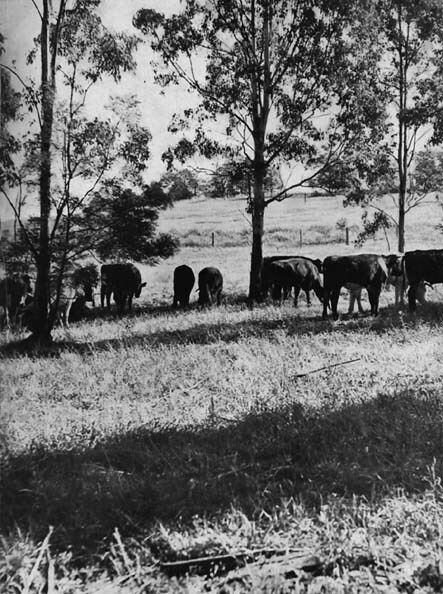 Shorthorn steers on year-old pasture in Goondiwindi paddock."Nevallan". Above the fence in the picture can be seen the stirp of newlyplanted Tallow-woods (shown in Plate 3), with five tree rows in the strip of 1000trees.